I first laid eyes on Titan Core Kailua on a walk with my dog to his veterinarian next door. The studio was under renovation, but I still managed to sneak a peek inside. It was dark; one wall mirrored, the other bare, and down the middle was a row of machines with an assortment of pulleys, handles, straps, bungie cords, and who knew what else. I quickly thought to myself that there’s no way I would ever step foot in there. Not too long after Titan Core opened though, I came into contact with the manager who encouraged me to try a class. Although the little voice inside my head screamed, “No, you can’t do it,” I nervously agreed to the challenge. So, with a pair of grip socks in hand, I attended my first Titan Core class. To my relief, there were three other newbies in our class of eight. After a brief introduction from our instructor on the Megaformer (the crazy machine I mentioned before), we got down to business and gave it our all for the next 45 minutes. My muscles shook with nearly every move, I confused several pieces of equipment, and even stumbled between positions, yet finished the class feeling incredibly accomplished and not defeated like I thought I might. I really enjoyed my Titan Core workout. The staff is friendly, and although the workout is intense and exhausting, it’s also kind of fun. And to all those afraid of failing at a new workout, I encourage you to put aside the negative thoughts and give it a try. You may end up liking it as much as I did! Want to save money? 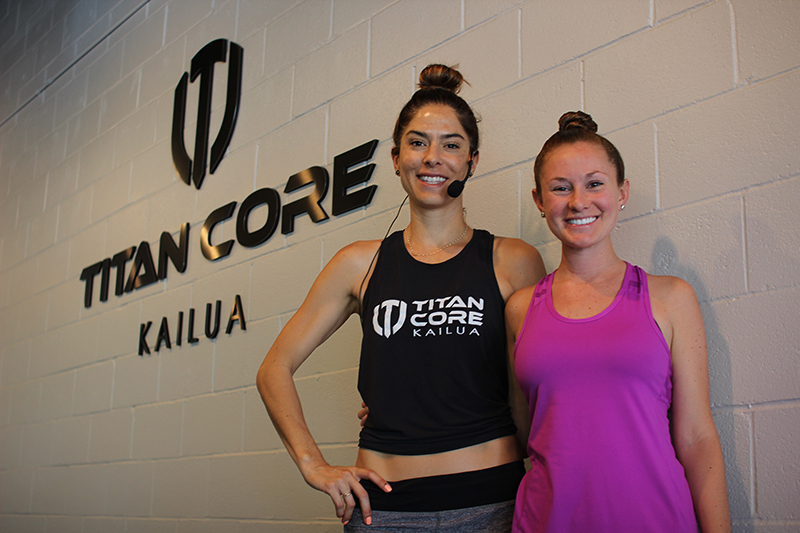 Titan Core Kailua offers HMSA members a special rate on their classes, packages, and memberships through HMSA365, HMSA’s discount program.